There’s a scene in Richard Linklater’s Boyhood where we hear “Crazy,” and it’s one of those music moments on film that stays with us long after the credits roll. Not because it’s particularly poignant, like “Hallelujah” in Shrek or something. It doesn’t even soundtrack the action. It’s 2006, the kid whose boyhood it is is in a store, and “Crazy” is playing on the radio. It lets us know instantly: we’re in 2006. And Linklater’s little hero is hearing it for the first time the way many of us did: a great chorus wafting over the radio. This is surely one of the most ubiquitous songs on modern pop radio, and it sounds like it’s always been there. 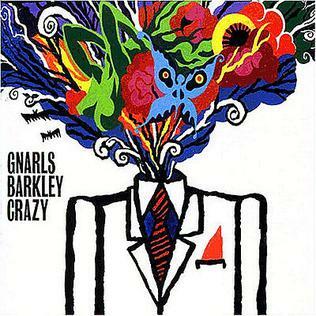 As a kid I heard of a Patsy Cline song called “Crazy,” and I thought that’s what the Gnarls Barkley song was, the gender of the singer be damned. My music knowledge at the time coming as it did from Bionicle forums, I thought all new music sounded like Breaking Benjamin. How could this sweet, sad thing, with its swooning strings and preacher-on-fire vocal take, be from the age of Spencer’s Gifts? It’s easy to make something sound classic. 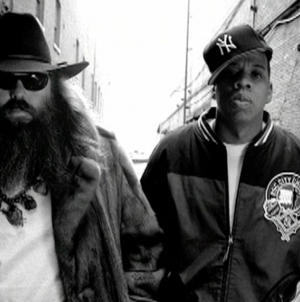 It’s harder to make it sound like a classic. What’s harder still is to make something that sounds like a fact of pop but that you can deconstruct for its true weirdness. Is there anything that sounds like “Crazy,” least of all on the charts? Why is it so sad? If it’s so sad, what’s with this compulsion to dance? 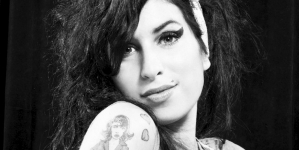 If the 2000s gave rock any gift, it was imbuing its aging singers with the ability to open up about their emotions – and not in a too-cool way, but in a deeply introspective manner. The nebulous “indie rock” umbrella is a massive one to rage under, and for LCD Soundsystem frontman James Murphy, that takes the form of making his emotional follies as danceable as possible. 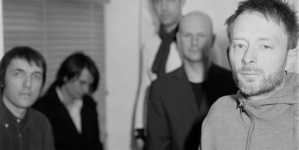 His feelings were conveyed with more of a smirk for the entirety of their self-titled debut, and for the first three songs of Sound of Silver it almost feels like they’re doing the same again. Then comes “Someone Great” – a song equally as deserving of this lofty place on the list, one about the tragedies that can destroy relationships and cause 1000kg of psychic damage – and suddenly Murphy isn’t “the fat guy in a t-shirt doin’ all the singing,” but rather an open and devastating song craftsman. 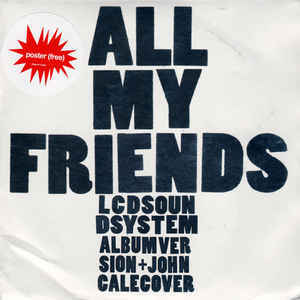 “All My Friends” is a song that’s nearly impossible to write about, purely because there’s nothing that can be said about this song that hasn’t already been said – and this includes the sentiment you just read, now already a played-out observation of the song. It’s lyrically dense in a way that has kept us dissecting it for a decade, pumped full of Murphy’s razor-sharp writing. Every line is a doozy: “It’s the memory of our betters/ That are keeping us on our feet,” “I wouldn’t trade one stupid decision for another five years of life.” Each line is constructed on top of a barely-varying piano line and a won’t-quit beat that should grate on you, but the steady build ensnares itself with Murphy’s words too tightly to even begin to be irritating. 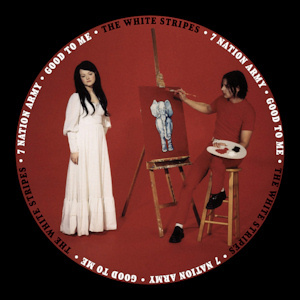 Echoing throughout Italian football stadiums and Jeremy Corbyn rallies alike, there are few songs as ubiquitous as the White Stripes’ “Seven Nation Army.” The duo, Jack White and Meg White, brother and sister (in reality, ex-married couple), started off in the grand tradition of Detroit garage rock before stumbling upon one of rock’s most iconic riffs. Inspired by their love of bands like the Stooges and Flat Duo Jets (the original guitar/drum duo), the White Stripes delivered dirty rock via fractured riffage, fuzzed out solos and primal drumming that was more ferocious than any of the other garage rock revival acts of the early ‘00s. Gloriously messy and imperfect, they released three albums before hitting the big time in 2003 with “Seven Nation Army,” and its parent album, Elephant. “Seven Nation Army”’s towering riff was initially birthed during a soundcheck two years prior in Australia. So simple a beginner could easily play it, it is the White Stripes at their most feral and primitive. The song’s simple arrangement, minimal even by the duo’s earlier standards, lends to its prowess as it continuously loops throughout the song — first in a low growl before building up to the chorus’s high-pitched squeal. Jack’s voice is equally piercing and menacing as he wails, “I’m gonna fight ‘em off / A seven nation army couldn’t hold me back” backed by that hypnotic riff and Meg’s primordial beat. 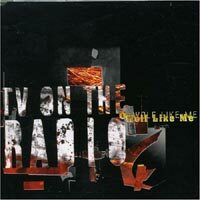 TV on the Radio arguably redefined what a rock band was supposed to be in the 2000s. Unlike their easily classified contemporaries, TV on the Radio didn’t fit neatly into any box you could place them in. 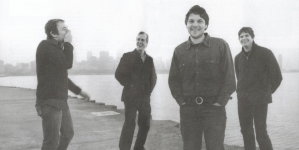 They borrowed from jazz, hip-hop and electronica as well as punk and indie rock, resulting in albums that were dizzying in their eclecticism. This may make it seem as if TV on the Radio are one of those bands that are easy to admire yet difficult to love, but the band are anything but a group a passionless studio geeks. Case in point: “Wolf Like Me” is many things, but only a fool would call it passionless. The closest that TV on the Radio get to recording an outright rock song, “Wolf Like Me” captures everything that made the band such a dynamic, unstoppable force to begin with. Guy-Manuel de Homem-Christo and Thomas Bangalter are from another continent, but they may as well be from another planet. They certainly dress and act like it. As the robot helmet-wearing duo Daft Punk, Homem-Christo and Bangalter are somehow able to bottle pure emotion into music better than almost any other artist. 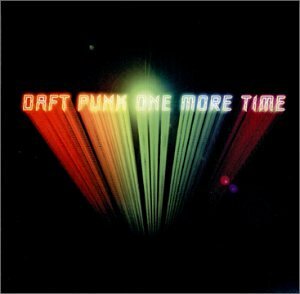 In the case of “One More Time,” they manage to create five minutes of unadulterated happiness. Few songs can and do conjure up such genuine euphoria. Daft Punk turns Eddie John’s “More Spell on You” into infectious slot machine disco, allowing vocalist Romanthony to be in full celebratory mode. The hyper-repetitive hook – “One more time/ We’re gonna celebrate/ Oh yeah, all right/ Don’t stop the dancing” – is such a Skittles overload that you might miss the real point of the song. Buried within this endless bliss is a revelation: “Celebrate and dance so free/ Music’s got me feeling so free.” In other words, Romanthony is praising the healing power of music and the magic it offers when it’s played. Yeah, it’s a basic message and one that’s been reiterated innumerable times. But sometimes the most basic lessons are also the most important. Whatever the reason for celebrating, whether it’s graduation, a promotion or life itself, that glee you feel is the freedom to act like a complete idiot without fear of judgement – so why not dance?